Designing your living room involves tons of things to think about despite its size and theme. You better pay attention to deal with that kind of room simply because the room size could bring some problems. To avoid equipping your room awkwardly, look at some tips for styling a living room properly. 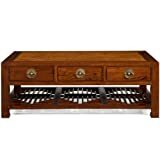 This lovely oriental style coffee table includes three drawers either side for storage. The lattice shelf is made up of individually carved pieces of wood, perfect for newspapers and magazines, with a pattern that harks back to the Chinese Ming dynasty. As with other pieces in our classical range, the rattan table top is sanded flat and varnished to complement the selected furniture finish. Part of our Classical Chinese furniture range, handcrafted from reclaimed elm wood and available in a choice of warm elm, light elm or black lacquer. Other finishes and sizes can be made to order. Features a handy storage shelf and 2 full depth drawers, accessible from either side for extra storage. A timeless design with chunky tops that complements contemporary and traditional interior styles equally well. A Wide range of co-ordinating items are available in the Julian Bowen Astoria range making it ideal for any home situation. Constructed using the finest American White Oak and Oak Veneers, the Astoria Coffee Table features a handy storage shelf and 2 full depth drawers, accessible from either side. The Mantis TV unit or coffee table with shelf is manufactured in India from solid mango wood from approved renewable sources. There is no mdf, chipboard or veneer on our Mantis range, just solid timber. The Mantis range is stunningly designed in a chunky minimalist way yet despite its contemporary appearance it remains friendly to modern or traditional homes and is ideal as a room range offering exceptional natural grain variation due to the use of solid timber and light finish, or as individual feature pieces for prime positions. This exceptional Mantis coffee table or TV unit is typical of the range and being a multi use item in the light mango wood finish shows the beautiful natural grain of the mango timber. Ideal for many home rooms and conservatories etc. and even classy commercial premises it is a fantastic piece to own. British made, hand finished occasional/ coffee/ side table. In an Antique Redwood paint finish, with our Classic leg. The entire table is made from a composite moulding which is very strong and durable. We do not stock these products finished on the shelf, we finish each table as the order comes in. All our tables under go a 3 stage paint process, this requires the tables to be left over night between each stage, therefore we do ask for 3-6 days to finish your table. Your table will then be sent on a NEXT DAY DELIVERY and we will provide you with your tracking number. If you would like a different paint finish on the top than the frame or legs, please ring us on 01933 419715 and we will do our very best to help you create your very own one-off piece of furniture. This beautifully styled side table is neat and compact and will easily fit into your home interior styling. Ideal for complementing sofas and armchairs, this side table has sleek shape and heavy base make it great for modern spaces. Material: 8mm Tempered Glass, Chromed Frame. Curve round side table has been designed for smaller spaces, at great price points. We deliver to main land UK, EXCEPTIONS Channel Islands,Scottish Highlands and Ireland. We apologize for any inconvenience this may cause. Product Size: H 43 x W 60 x D 110 Cm Approx. Home Discount offers this stunning new product with a modern stylish design, the Elena Coffee Table. The Elena coffee table is a contemporary style collection of glass and chrome steel occasional furniture. This glass and chrome table features an oval clear glass top with smart edging, a spacious frosted glass under shelf and beautiful curved legs. The table top has a thickness of 8mm and the glass shelf has a thickness of 5mm and would be a ideal addition to your home with its smooth top surface and useful under shelf. Please note this item comes flat packed and requires self-assembly. This coffee table is available in white/clear, black/clear and black. Product Size: H 45 x W 60 x D 110 Cm Approx. Home Discount offers this stunning new product with a modern stylish design, the Elise Rectangular Coffee Table, Black. This elegant Elise rectangular coffee table is expertly crafted and sure to look good in your home. 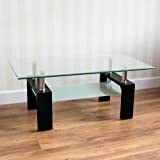 With a contemporary design, this classy coffee table has a clear tempered glass top with beveled edges, a useful frosted glass shelf and sumptuous black high gloss legs. The table top has a thickness of 8mm and the glass shelf has a thickness of 5mm. Please note this item comes flat packed and requires self-assembly. Mexican style solid pine in an antique wax finish with black metal fittings. All coverings and fillings are fully fire retardant, and meet or exceed UK safety regulations. The Victoria is truly luxurious leather reclining suite. It is a stylish, modern recliner that combines great looks with all the comfort and relaxation of a traditional recliner. It is covered in smooth yet durable bonded leather on all contact surfaces with a top quality, faux leather match on the sides and back. The recline mechanism can be used in two set positions or in any position in between giving you complete choice of how you wish to relax. The armchair and both seats of the 2 seat recline, and on the 3 seat sofa the outer 2 seats recline. All coverings and fillings are fully fire retardant and meet or exceed UK safety regulations. Your item will be delivered on a 2-5 day kerbside pallet delivery service. The goods will be sent from our warehouse into the courier network, once they receive the goods they will call you to arrange a delivery date and approximate delivery window. We advise that you arrange this delivery window for when you can have people available to help you take receipt of the item. The driver will unload the pallet off the delivery lorry and bring the item to the front of the property for you. There is one driver and he is not insured to bring the goods into the property for you. Please ensure that you provide an up to date contact telephone number so the couriers are able to contact you to arrange delivery. We can offer a 2 man delivery service, please call us for details on 01273 617 109. Unfortunately, we cannot deliver to the following areas: Channel Islands, Isle of Man, Isle of Wight, Scottish Highlands/Islands and Northern Ireland. If you have any queries regarding this please contact us via message before ordering. Luxury futon sofa bed and mattress suitable for kids and adults. Made with sturdy natural pine woods sourced from UK suppliers and complete product assembled in the UK. Easy to assemble. The Windermere is truly luxurious leather reclining suite. It is a stylish, modern recliner that combines great looks with all the comfort and relaxation of a traditional recliner. Comfortably padded, high back chair provides unravelled comfort to the entire body. Sumptuous Real Leather (Bond Grade), nicely padding, 360 degree swivel, recline function, makes this chair a special place to sit, read and relax. Matching Foot stool is included in the price, so put your feet up and distress, but watch out as you may fall into a comfortable slumber. These chairs have proved to be very popular in the domestic market, and in offices. All our products are fully fire retardant and meet or exceed UK safety regulations. 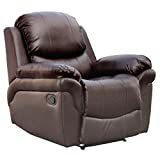 The stunning and tremendously comfortable Sorento Swivel Recliner in full hardwearing Real Leather (bond grade), has been developed to the very highest standards, providing: strength, durability, supreme comfort and high quality workmanship. 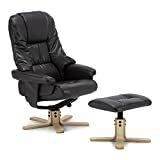 With its comfortable seating, ample back support, stunning wooden base on the chair and complimenting footstool, the user will have years of worry free comfort. With its modern curves and design the Sorento recliner would look amazing in many room settings, either as a centre piece or occasional seating. 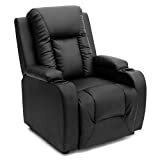 This recliner also offers the ability to simply recline by leaning back with your body weight, and is fitted with a ball tensioner located under the front of the seat cushion. The tensioner can be loosed or tightened depending on the strength you need to push the chair back. You can set this to a light push to recline or a stronger push. The preference is yours. 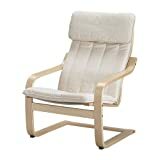 This recliner is ideal for the user who wants to relax while allowing the stresses of the day to melt away. Arrives flat packed. All Bolts, Allen Key, Parts and Instructions are included in the box. This recliner is designed to be easy to assemble. The stunning brand new Madison Manual Recliner Armchair has been developed to the highest standards, providing strength, durability and supreme comfort. Comfortably padded, gives comfort and support where it’s needed the most. This model offers soft padding, excellent lumbar support and full chaise seating. High quality Latch Recliner Mechanism, recline with ease by lifting the small latch on the side of the armchair. This chair has proved to be very popular and is one of our top sellers. All our products are fully fire retardant and meet or exceed UK safety regulations. The Madison is one of the latest recliners in our Premier collection offering unsurpassed comfort. It is upholstered in super soft Real Leather (Bond Grade). 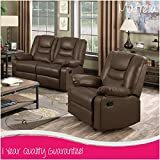 It is reclined using a Latch Recliner Mechanism and combined with foam arms and pillow back support enables you to really sink into the recliner for hours. And the supportive seating gives comfort and support where it’s needed the most. This model offers soft padding, excellent lumbar support and full chaise seating. To operate the latch mechanism place your hand on the latch located on the side of the chair and pull to release the footrest. To return to the upright position, gently push the footrest down with your legs to lock it back into place; at the same time the back of the recliner to return to it’s original position. * Fully faced with thick bonded leather on the backrest and the seat. We do not use cheap PU or PVC (plastics) on the face of our chair. 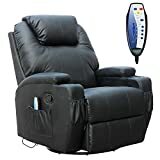 Pull the latch mechanism on the side turn the chair into a recliner and then you can apply the massage and heat just for relaxing or easing aches and pains and helping circulation. Additional functions are a 360 degree swivel and a backwards and forwards rocking action. Just for fun the chair is fitted with a cup/bottle holder in each arm. Four pockets have been added for storage (Remote control or magazines). Crafted from high quality bonded leather and coated in a very high quality film of PU. Designed for easy maintenance and daily use. Individually hand-crafted using traditional techniques for optimal quality. Suitable for any living/dining room setting and providing a stylish, modern look. 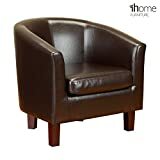 This magnificent tub chair with a smooth curved back and wooden legs is crafted from high quality bonded leather and coated in a very high quality film of PU, to ensure durability and resistance from spills and stains. Together with a foam padded cushion seat the tub chair offers a luxurious seating experience of highest comfort. The chair legs are high quality solid wood, in a natural colour finished with lacquer. They are also fitted with protective studs to help prevent damage and scratches to both the chair leg and the floor. This chair is designed for easy maintenance and daily use, and has proved a big hit in restaurants, clubs, and of course, the home. Every one of our chairs is individually hand-crafted using traditional techniques for optimal quality. Simple assembly, only 4 legs to attach. Please note, the brown is a very dark brown. The chair legs are also a very dark brown. The stunning brand new Oscar Manual Recliner Armchair with Drink Holders has been developed to the highest standards, providing strength, durability and supreme comfort. High quality Push Back Recliner Mechanism, place your hands on the arm rests of the recliner and in conjunction with pushing forward on the arms lean backwards using your bodyweight to recline the chair. High Quality Bonded Leather facing upholstery with 12 months peace of mind Warranty. The Stunning and Compact Oscar Recliner Armchair with Drink Holders has been developed to the highest standards, providing strength, durability and supreme comfort. The Oscar with Drink Holders is one of the latest recliners in our Premier collection offering unsurpassed comfort. This is a compact size chair ideal when space is limited. It is upholstered in super soft Real Bonded Leather. It is reclined using a Push Back Recliner Mechanism and combined with foam arms and pillow back support enables you to really sink into the recliner for hours. And the supportive seating gives comfort and support where it’s needed the most. This model offers soft padding, excellent lumbar support and full chaise seating. To operate the Push Back mechanism place your hands on the arm rests of the recliner and in conjunction with pushing forward on the arms lean backwards using your bodyweight to recline the chair. The footrest will rise in unison with the back reclining. To return to the upright position, gently push the footrest down with your legs to lock it back into place; at the same time the back of the recliner to return to it’s original position. As this chair work purely off the users body weight, as you lean your shoulders forward the chair will return to the original upright position. This chair is available in different colours. The comfortable dining chair guarantees best seating and beautifies any room. 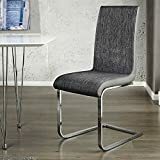 Upholstered in a Luxurious Designer Fabric with a bold modern shade this High Seat Chair is a great addition to any room setting. Offered in a choice of either 21″ or 19″ seat height, and standard 18″ or Extra Wide 21″ seat widths. 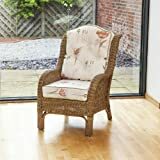 They are ideal High Seat Chairs for the elderly and offer great value for money. Made from modern fabrics, these High Seat Chairs can offer support for those recovering from hip and knee operations and offer a medium to firm level of support. They are easy to get in and out of and these high back chairs would made an excellent addition to any home. THIS CHAIR CAN ALSO BE MADE IN A MATCHING 2 SEAT SOFA Call 01759 307856 for details Measurements seat depth 13cm. Top of back to floor 114cm. Width of back 63cm. Height from seat to top of back 70cm. Front to back of seat 47cm. Width at back of seat 47cm. Width at front of seat 62cm. Floor to seat top 56cm. Length of arms 48cm. Floor to top of arm 69cm. Height of legs 23cm. – Easy to clean; removable, machine washable cover. – Matches POÄNG armchair in adult size. The roll back design gets a new twist: the jacquard floral fabric really adds a new dimension to the design. Home Discount Offers This Stunning New Product With A Modern Stylish Design, The Home Discount Offers This Stunning New Product With A Modern Stylish Design, The Shankar Mia Floral Cream Dining Chair Set Of 2. The Roll Back Design Gets A New Twist: The Jacquard Floral Fabric Really Adds A New Dimension To The Design. Each Chair Has A Sprung And Belted Seat Area For Additional Comfort And To Retain Bounce And Shape. This Product Is Available In Cream And Brown. These Chairs Are Sold In Sets Of Two. This Product Is Supplied Fully Assembled And It Also Has Solid Oak Legs. The Dimensions For This Chair Is H 105 X W 47 X D 67 Cm Approx. LUNA wall unit is functional combination of shelves and cabinets that will change any room into friendly and modern looking interior for everyday use. For more excellent furniture from BMF check our full offer ! Corner sofa beds, chaise-longues, TV wall units, wardrobes, display cabinets and many more ! IMPORTANT INFO FOR BUYERS FROM SCOTLAND ! We charge extra £50 for deliveries to Scotland. For KW,PH.IV post codes £80. When buying from us, you agree to our Terms and Conditions. We charge extra (£40 – £100) for deliveries to Scotland, Cornwall £60 (TR, PL,TO,EX), Wales £40 (LL, SA,SY). British offshore locations – please contact us for a shipping quote. If your delivery address requires a surcharge we will contact you 1 working day after your order has been placed. Universal Corner No Need to Choose Left or Right Orientation, If You Need Different Colour Please Check Our Other Listings or Contact with Us and Let Us Know. Dimensions: length: 247x160cm, height: 88cm, depth: 84cm. We’ll deliver to the room of your choice. ALL OUR PRODUCTS COMPLY WITH BRITISH FIRE REGULATIONS WE HOLD ALL REQUIRED BY LAW CERTIFICATES TO PROVE IT. ONLY SHIPS TO UK MAINLAND. LUXURIOUS DESIGN – Beautifully Styled three tier fiber filled padded lumbar support and padded wings, arms and footrest for ultimate enjoyment. FREE SHIPPING WITHIN 150 MILES – Hassle free shipping with follow up service provided for all orders. Full easy to follow assembly instructions included. 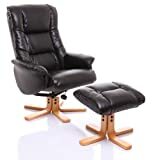 Our Stylish 1 Seater Soft leather Reclining Chair is a high quality sophisticated sitting and relaxing area. It provides ample space to comfortably seat 1 person, practicality and style at an affordable price. A solid and durable piece that will provide many years of use with classic chocolate Coloured PU fabric that will fit into any colour theme or style. The fabric is easy to clean and maintain freshness. Part of a full sofa collection. Add To Basket Now and experience our great product and ongoing customer support. Your satisfaction is our primary concern. You may find it hard to believe the price tag, when you enjoy the supreme comfort and support offered by the Islington recliner. This luxurious leather sofa is designed to provide all of the comfort and support you need and it succeeds thanks to its high back and generously cushioned seats, back and arms. Available in Black & Brown Bonded leather. Made from the highest quality material, our sofas include foam filled cushions to offer extra support and comfort plus scatter back cushions. Smart designs, fit into most properties. Highly advised to measure your entrance dimensions when ordering bulky items like furniture. Please ensure that your area is included before you purchase. Two-man white glove delivery will deliver in your living room. More than one flight of stairs requires a lift that fits the items in or otherwise the items will have to be handled by the buyer. Our Couriers will give you a 1 day prior telephone call to confirm the day of the delivery and give you the time slot. Allow 7 working days from payment day. Shipping only to England & Wales*. NO DELIVERIES TO SCOTLAND or NORTHERN IRELAND or Isles due to unattractive delivery charges by couriers. excludes Scotland, Channel Islands, the Isle of Wight, the Isle of Man, the Scilly Islands, the Scottish Highlands & Islands and Northern Ireland. Postcodes: DD,PA, AB, KA, DG, FK, HS, IV, KW, KY, PH, ZE. 07939524973 to ask for any information that needs clarification or to let you know about your postcode delivery details whenever in doubt. 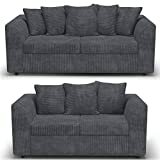 Overall size of the corner sofa (W)212cm, (D)164cm, (H)78cm. ✅Delivery: once we have received the order, we will call you a day before the actual delivery date, kindly make sure you have provided correct mobile number while placing the order. *The deliverable mainland is England and Wales and excludes SCOTLAND, Channel Islands, the Isle of Wight, the Isle of Man, the Scilly Islands, the Scottish Highlands & ISLANDS and IRELAND. Postcodes: DD,PA, AB, KA, DG, FK, HS, IV, KW, KY, PH, ZE. Email us through Amazon or call us on 07939524973 to ask for any information that needs clarification or to let you know about your postcode delivery details whenever in doubt. Manufactured from solid Seesham timber. Real metal fittings and studding with handmade mesh sides. Available for possible next working day delivery and is fully assembled. Indian jali thakat small Bookcase, hand crafted from solid Seesham timber with hand wrought side panels of black distressed metal. Small Bookcase- Height: 120cm Width : 50cm Depth : 26cm All sizes are approximate. Professionally spray painted in our “Off-White” finish. Alternative paint colours available (see images attached) + FREE COLOUR SAMPLES AVAILABLE ON REQUEST BEFORE YOU BUY! We can also paint this to any colour simply email us for a quote. DIMENSIONS: 91.5cm Wide~30.5cm Deep~213.4cm High / SHELF DEPTH:25 cm. Alternative sizes available. Simply email us your dimensions for a free made to measure quotation. DELIVERY: PRODUCT IS MADE TO ORDER SO PLEASE ALLOW UP-TO 30 WORKING DAYS FOR DELIVERY. Please read product description below for full details and postcode exclusions. Please Note: Seller “Heartland Interiors” (the manufacturer) is the only trader authorised to sell this item. Beware of “too good to be true” offers from alternative third party traders. They are not genuine and should be avoided. 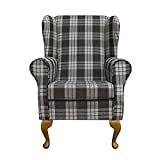 The chair stands on Light Oak Fibre Resin Queen Anne legs upholstered in Charcoal Kintyre Tartan Fabric. Durable hardwood and composite timber construction using both traditional and modern techniques. Delivery is free to customers in England and Wales. For other areas please contact us with your postcode for a delivery quote: 0191 4895017 Our normal delivery time is between 2 – 3 weeks. We will contact you to arrange a suitable day for delivery so please ensure you leave a telephone number on the order details that you are easily contacted on. Please make sure that you are available on the delivery date as if a delivery is missed you may be charged for a re-delivery as our carrier charges us. The delivery is an all day schedule between the hours of 8am – 6pm on your chosen day. We do offer an Saturday AM delivery if this is more convenient for yourself, if you would like to arrange this please call us on: 0191 4895017. Some of our larger items will be shipped on a pallet, this is a kerbside delivery and normally the driver will help to get it to your door but will not enter the property. Please ensure there is an able bodied person available to assist and if this is a problem then please let us know in advance. Please note that the delivery person will not take this to an upstairs flat. If you live in an upstairs flat or apartment please let us know and we may be able to arrange an alternative delivery service. Please note that if you live in a new build or a difficult to find address it’s the responsibility of the customer to make us aware of this. Thank you. The Shanghai recliner is a perfect choice for those wanting comfort and style at an affordable price. Finished in a high-grade bonded leather the chair comes in five different colour options of Chocolate, Hazelnut, Black, Cream or Nut Brown. The stylish star base is a natural wood on the chocolate and black versions and cherry wood on the cream and nut brown versions. The swivel action is 360 degrees and the recline action is tension adjustable allowing you to control the ease of recline. These chairs are made with bonded leather. Bonded leather is made from the cuts left behind in real leather production. The process bonds the leather parts together and a quality finish is added to give it a smooth and luxurious feel. The result is a chair that is 2-3 times less expensive than a top-grain leather chair, and with an almost identical look and feel. Because the production process uses off-cuts of leather, it is also eco-friendly. CRUSHED VELVET FABRIC CUSHIONS – Faux leather combinations available in Brown & Coffee or Black & Grey. Orientations available in Left Hand & Right Hand. 3 Seaters & 2 Seaters sets are also available. We use quality foam and fibre filling sofas in these sofas to ensure they will last long. FIRE RETARDANT – According to UK law *Fire Safety UK BS 5852 Compliant* – Be aware of dangerous copies using unqualified materials. LARGE REMOVABLE FOOTSTOOL- The Corner Sofas have a large Removable Cushion Footstool At The End. Not included in 3 & 2 Seater Sets alone. 1 YEAR FACTORY WARRANTY. We use quality foam and fibre filling cushions in these sofas to ensure they will last long. This sofa is made from a combination of luxurious textured jumbo cord fabrics, it has soft seating and back cushions which are fibre-filled and reversible for an even wear. The cushions come off so you can wash them.’sink into’ seating sofa range which will make a wow factor to anyone who will sit on to.Check description below for dimensions and more details. Introducing the new Vargas CRUSHED VELVET scatterback suite available in beautiful two tone black & silver or Brown & Mink. This superb money-saving package deal gives you the Vegas grand suite for a far lower price than well known high street stores. Upholstered in a stylish combination of two tone crushed velvet, this suite has an appearance and texture you’ll never grow tired of. The Vargas is made from soft structured deep pile fabric which is complimented by fashionable two tone with deep filled seats and back cushions making the Vargas as comfortable as it is stylish. his sofa is made from a combination of luxurious textured crushed velvet fabrics, it has soft seating and back cushions which are fibre-filled and reversible for an even wear. The cushions come off so you can wash them. The Vargas has been designed with size in mind for most homes in the UK with a low profile, resulting in a ‘sink into’ seating sofa range which will make a wow factor to anyone who will sit on to. 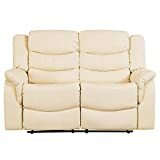 Dimensions: 3 SEATER: Width 210 (cm) Depth 90 (cm) Height 85 (cm) 2 SEATER: Width 164 (cm) Depth 90 (cm) Height 85 (cm) Corner: Width 250 (cm) x 237 (cm) Depth 90 (cm) Height 85 (cm) Swivel chair: 90cm (H) x 125cm (W) x 125cm (D) Call us on 0208 213 3025 to ask for any information that needs clarification or to let you know about your postcode delivery details whenever in doubt. Black Walnut Retro Hoop Coffee Table / TV stand. 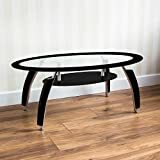 This stunning retro designed hoop coffee table make the perfect centrepiece in any lounge. This amazing designer piece can also be used as TV stand with room below for consoles or media equipment. Curves are good with this beautiful classic design. Zespoke Design are a furniture manufacturer that pride themselves on creating funky retro designs. Excellent quality hand made pieces of contemporary and modern furniture with retro influences. From stunning retro hoop coffee tables to fabulous unique and unusual TV stands – each piece is hand made to order and of the absolute best quality.